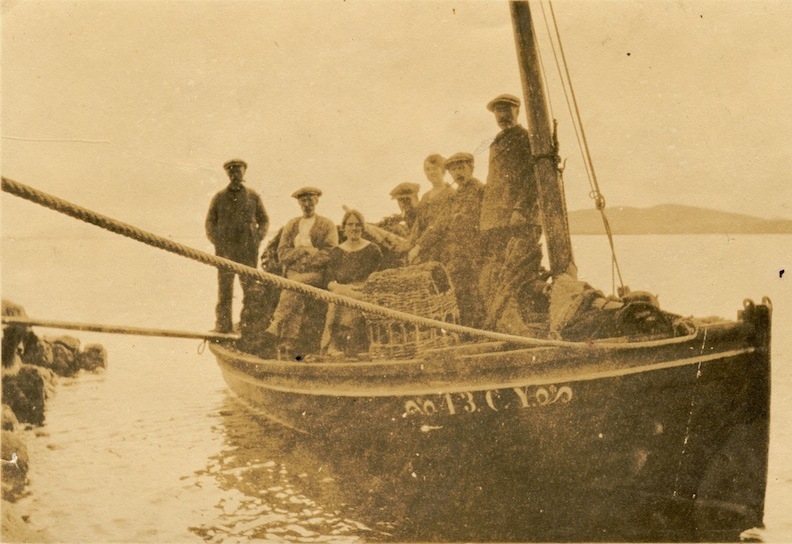 The latest newsletter from Berneray Historical Society is available to view here. The Berneray Visitor & Historical Centre at The Nurse's Cottage is currently closed for the winter season. We plan to reopen in May 2019. Berneray Historical Society has an active Facebook page at https://www.facebook.com/bernerayhistorical You do not have to have a Facebook account to view our page. Seo an làrach-lìn ùr aig Comunn Eachdraidh Bheàrnaraigh a chaidh a stèidheachadh airson fiosrachadh a sgaoileadh air a’ phròiseact ùr againn: Eilean Bheàrnaraigh – a’ cumail ar n-eachdraidh beò. ’S e buidheann air leth trang a th’ ann an Comunn Eachdraidh Bheàrnaraigh, a tha stèidhichte air an Eilean Bheàrnaraigh na Hearadh anns na h-Eileanan Siar. Tha buidheann stiùiridh beag saor-thoileach againn, agus tha buill againn bho gach ceàrn dhen t-saoghal. Tha sinn ag amas air ùidh ann an eachdraidh agus cultar an eilein a bhrosnachadh - gu h-araid a’ Ghàidhlig. Ma tha ùidh agaibh ann a bhith nur ball de Chomunn Eachdraidh Bheàrnaraigh, nach cuir sibh fios thugainn. 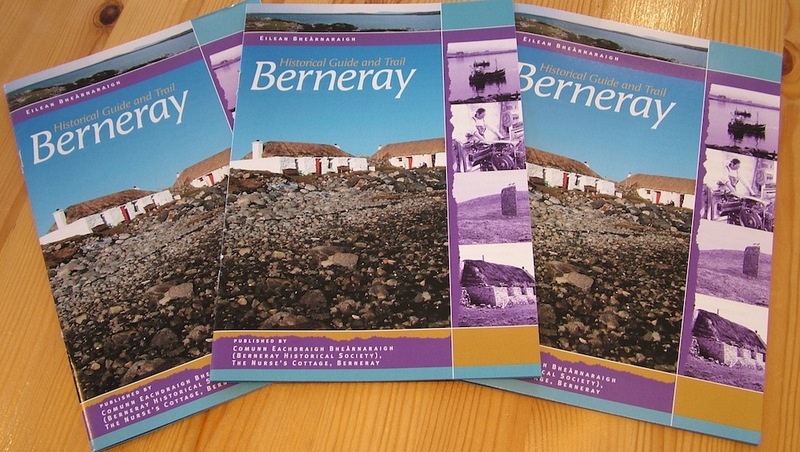 Copies of the authoritative Berneray Historical Guide, published by this Society, are available to purchase online. This is your essential guide if you are visiting the island and have an interest in the local history. There is also plenty of useful information, even for those who are not planning a trip just yet. The cost is £4 if you buy a copy in person (£5 mail order UK, costs may be higher to send overseas). Paypal payments are now accepted for mail order purchases (10% surcharge). 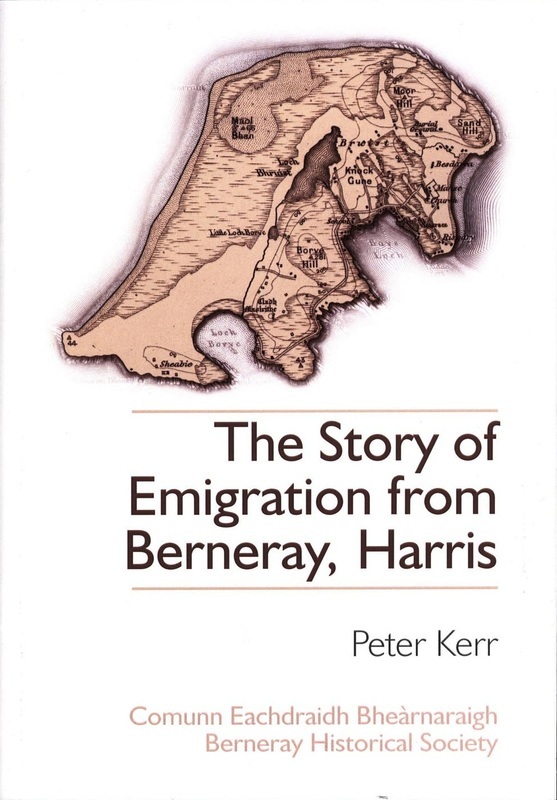 Copies are also available of the Historical Society's publication The Story of Emigration from Berneray, Harris written by Peter Kerr. The book represented the culmination of the Society's project, which concluded in 2012: 'A' tilleadh ar n-eachdraidh dhachaigh'. The project also included a conference held in the Community Hall. Copies of the book are available for £5 + postage. Please contact the secretary of Berneray Historical Society at The Nurse's Cottage, Berneray, Isle of North Uist, HS6 5BD or email info@bernerayhistorical.com. The Gaelic version of the book is available online as a free download. More than 1,000 copies have been downloaded! Anyone with an interest in the history of Berneray is invited to take out membership of the Society. Please download a membership form here. 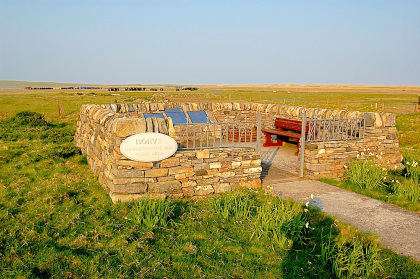 Berneray Historical Society is an active community group based on the island of Berneray in the Sound of Harris in the Outer Hebrides off Scotland's northwest coast. Our role is to promote an interest in the history and culture of the people of Berneray, and especially its Gaelic language. Since being re-formed in 2003, we have run a number of projects which have helped us to research, organise, digitise and present a vast amount of information relating to the history of the island. Much of this information is accessible via our base in The Nurse's Cottage Visitor Centre on the island. This facility is open to visitors during the summer months and by special appointment only at other times. We are run by a small voluntary management committee and we welcome membership from anyone with an interest in the history of the island. Currently we have members locally, elsewhere in Scotland and all over the world, including countries where Berneray people settled in times gone by, such as Canada and Australia. We have regular Society meetings, which all of our members are entitled to attend, and we also hold special events from time to time, such as historical themed ceilidhs and conferences relating to particular projects or themes. To find out about membership, please get in touch with us, using the contact details below. This is a new website, to which we will be adding more information in the coming weeks. For now, we are just including information about our most recent project A' Cumail Ar n-Eachdraidh Beò, as well as latest news, but we plan to add new sections, so please come back and visit us regularly!